B&B Hope, Bolonia, Włochy : Rezerwuj teraz! Very close to railway station (500 meters) B&B Hope is a typical ancient house of Bologna, recently completely renew. It is situated in town-centre in safety and quiet area. It is available single room and double room with separate bed or quin bed. 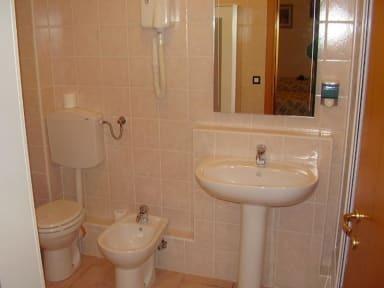 All room is equipped of bathroom inside room. All rooms is independent, nothing is shared. Customer can go out or come in at all times. Please advise about your arrival time, check out 11AM, payment cash on arrival, breakfast isn't included and cost 1,50 euro. You can rent a bicycle. B&B HOPE is close to railway station, only 5 minutes walk (500 meters); from fair only 10 minutes walk (1100 meters). 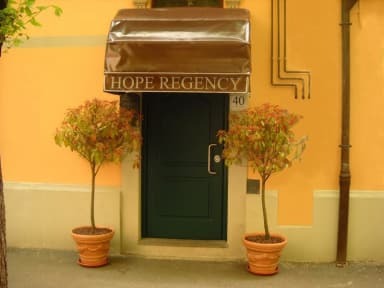 B&B Hope is close to Piazza de L' Unita (50 meters) where all bus in Bologna stop. From airport to B&B HOPE is easy and cheap take shuttle and stop in railway station. Payment cash on arrival, breakfast not included. We really enjoyed our stay at B&B Hope. Nice, cosy place, good location (close to the station and the city centre). The owner is very helpful and communicative. And - last but not least - delicious Italian breakfasts :) Strongly recommended!